I’m trying to eat more fish, partly because it’s good for you, partly because I’m trying to lose weight but mostly because it’s delicious. I’m not sure this one qualifies for the dieting category as it contains loads of butter, but it tastes light, which is good enough for me (and probably explains why my diets always fail). Don’t let that put you off though. 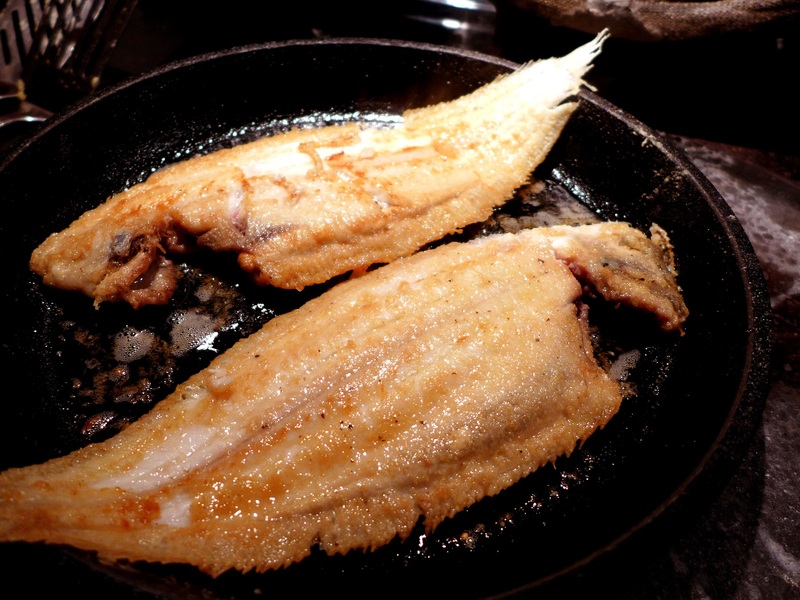 It is a version of the French classic, sole meunière. 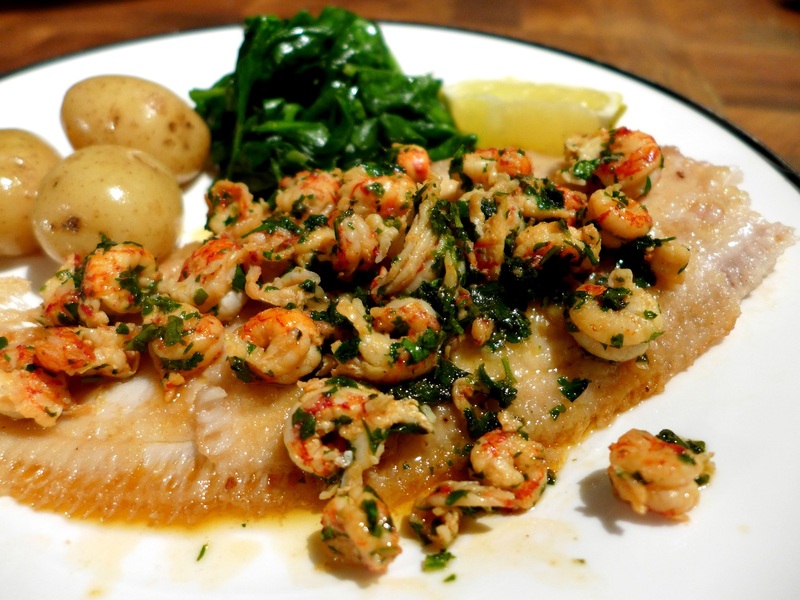 The fish is the star here but it doesn’t have to be Dover sole: lemon sole and other flatfish are also good cooked this way. 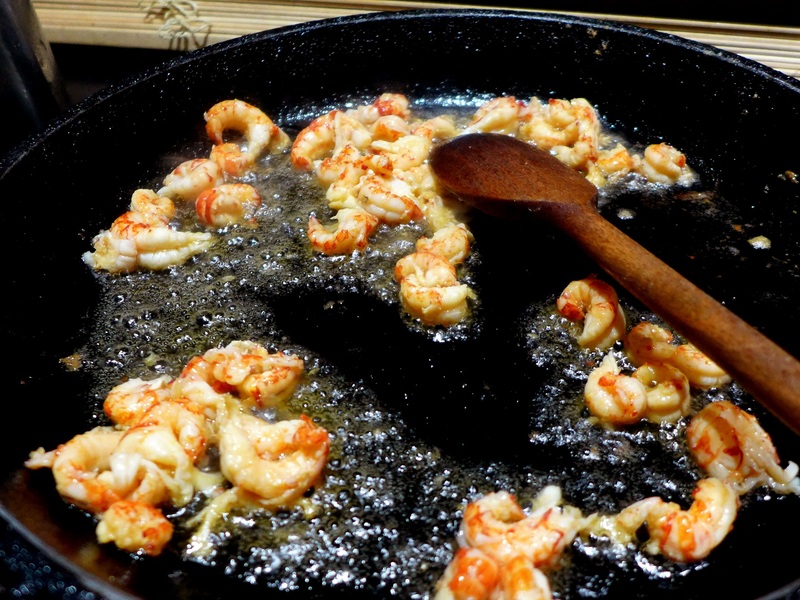 And if you can source tiny peeled brown shrimps, native to the UK, by all means substitute them for the crayfish tails. To clarify butter, put it in a pan on a low heat and once it’s melted, carefully pour the clear liquid on the top into a container, leaving the milky solids behind. It’s worth the few minutes it takes to do this as clarified butter cooks at a higher heat without burning. Dust the sole on both sides with seasoned flour. Heat 50g of the butter in a large frying pan on a medium heat until it’s foaming gently. Put in the sole and cook on a medium heat until the first side is golden brown, about 2-3 minutes. You should see the edges turning white. Turn it over, using two spatulas if necessary, and brown the other side, 1-2 minutes, until just opaque in the middle. Remove to a heated plate and keep warm. Wipe out the pan and heat the remaining butter over a medium heat until it’s foaming and beginning to brown. Add the crayfish tails and warm through. Remove from the heat and stir in the parsley and lemon juice (it might spit a bit). Pour the contents of the pan over the sole and garnish with lemon wedges. Try it with a side of wilted spinach or French beans and maybe some buttered new potatoes. Simplicity is the key, which makes it perfect for a fast but elegant supper. 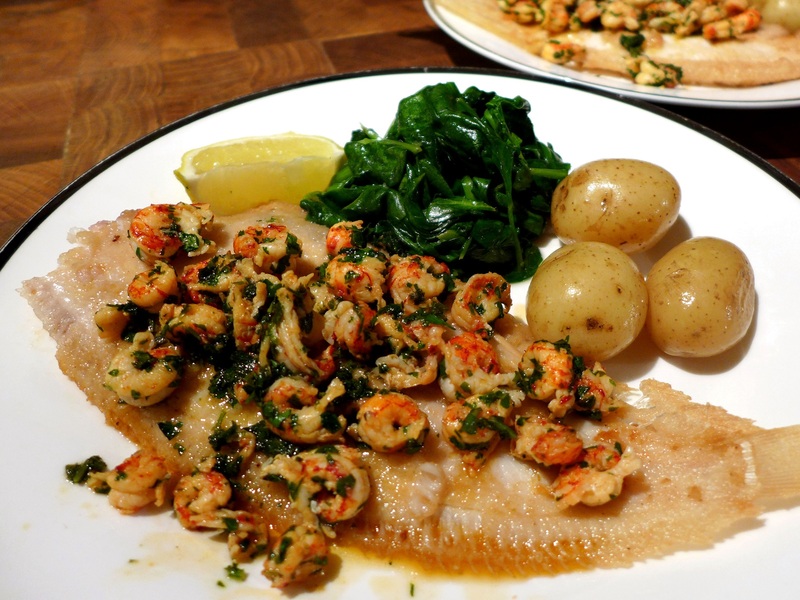 This entry was posted in Fish and shellfish, Mains and tagged Dover sole recipe, Dover sole with crayfish tails, sole meuniere by Linda Duffin. Bookmark the permalink. Ooh, I wonder where you can source brown shrimps? A pint of those was Saturday tea for the family throughout my childhood (though we had to peel our own, which was part of the fun). I haven’t seen them in years and years. Our fishmonger sells them, Margaret, ready prepared. I’ve also seen them in Waitrose. Yes, but you live near the coast. I think that’s the problem for us land-lubbers. I really haven’t seen them in even high-end fishmongers – I’m lucky enough to have reasonable access to two, but no dice. That’s a shame as they are so delicious. However, the crayfish tails came from somewhere much more prosaic – Lidl!